Herbig-Haro objects like HH 7–11 are transient phenomena. Travelling away from the star that created them, at a speed of up to 250 000 kilometres per hour they disappear into nothingness within a few tens of thousands of years. The young star that is the source of HH 7-11 is called SVS 13 and all five objects are moving away from SVS 13 toward the upper left. The current distance between HH 7 and SVS 13 is about 20 000 times the distance between Earth and the Sun. 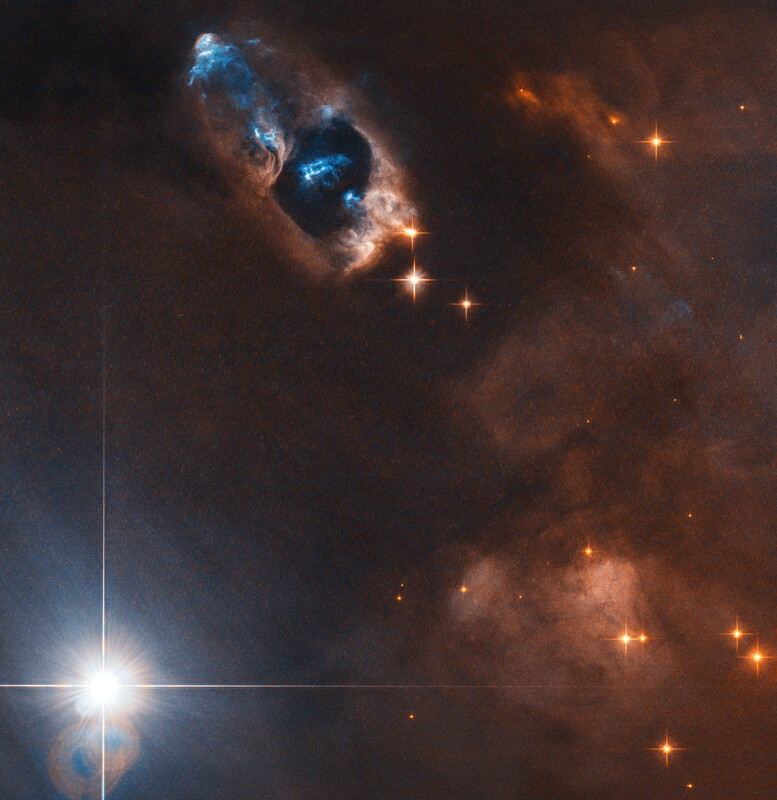 Herbig–Haro objects are formed when jets of ionised gas ejected by a young star collide with nearby clouds of gas and dust at high speeds. 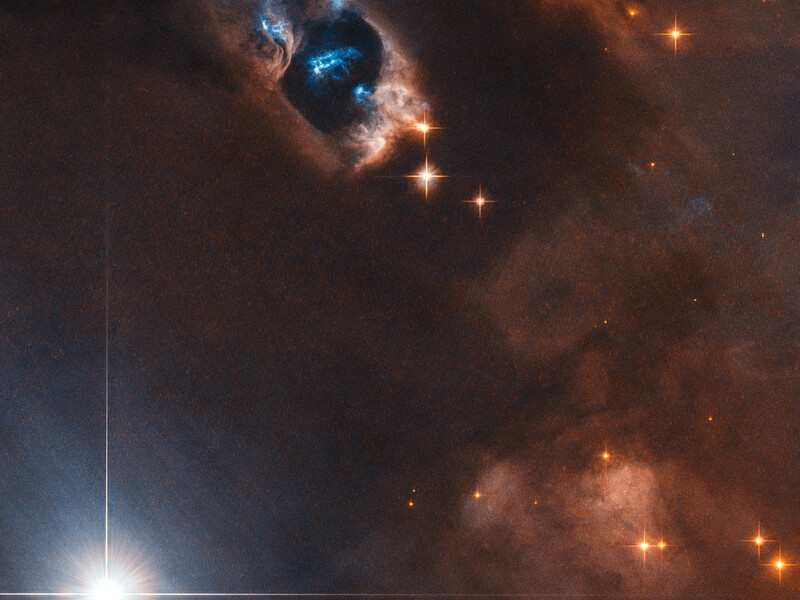 The Herbig-Haro objects visible in this image are no exception to this and were formed when the jets from the newborn star SVS 13 collided with the surrounding clouds. 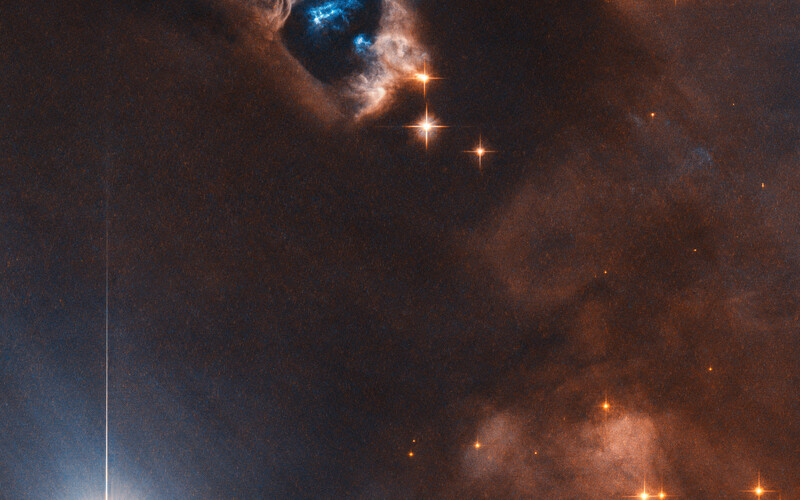 These collisions created the five brilliant clumps of light within the reflection nebula. Position (Dec): 31° 15' 46.26"